Open access means a free, easy, universal, perpetual right of access to, and an authorization to copy, use, distribute and display the research work publicly. All material published or disseminated by NobleResearch group is available worldwide and free of cost to students, scholars, researchers,scientists and general public without requiring a subscription to the journal in which these articles are published. This corresponds to the Creative Commons Attribution License. 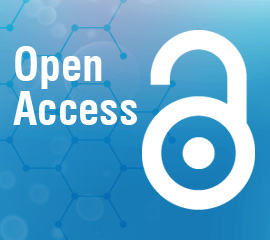 Open access brings the convenience of immediate access to the literature that users need no matter for which university or company they work or whether they just want to read the paper in their spare time at home. Open access publishing therefore leads to wider dissemination of information and increased efficiency in science and technology. In addition to removing access barriers, open access is immediate, rather than delayed, and applies to full texts and not just to abstracts or summaries. Authors are invited to contribute their research articles or comprehensive reviews for consideration and publication in NobleResearch group journals. Authors may submit their manuscripts in Microsoft Word or LaTex to the editorial office online at NobleResearch submission system. The publication production process per article is done by one staff member in order to offer the author the most personal and intensive support and service. Open access accelerates not only research but the translation of research into new medicines, useful technologies, solved problems, and informed decisions that would benefit everyone. Publishing Open Access gives the author the opportunity to share his or her research article with anyone who has an interest in the work, resulting in increased usage and a greater impact. Furthermore, the value of an investment in scientific research is maximized through wide use of its results, which can be realized by Open Access publishing.